Lisa Lyle Waggoner is a Certified Professional Dog Trainer, a Pat Miller Certified Trainer-Level 2, a Certified Separation Anxiety Trainer, a dog∗tec Certified Dog Walker, Faculty for the Victoria Stillwell Academy of Dog Training and Behavior, a professional member of the Association of Professional Dog Trainers (APDT) and member of The Pet Professional Guild (PPG). Lisa travels internationally teaching dog trainer instructor academies and works with clients throughout the globe via distance training consults. 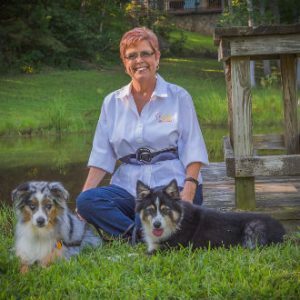 She writes expert articles on dog training, is a columnist for the Cherokee Scout, a reviewer of dog training books and DVDs for The APDT Chronicle of the Dog, and a regular contributor to Whole Dog Journal. 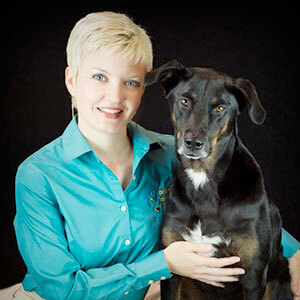 She is a frequent public speaker and conference speaker on humane education and other dog-related topics. Lisa and her dog Willow have also earned a DockDogs National Big Air Title of Junior in the dock diving competition and a National Association of Canine Scent Work (NASCW) NW1 Title. Brad travels internationally teaching dog trainer instructor academies. When he isn’t busy helping clients and their awesome dogs, Brad volunteers with the Georgia Department of Corrections in the “Rescued Program” where he works training the detainees and rescue dogs to help make the dogs more adoptable while teaching the detainees positive reinforcement training methods. 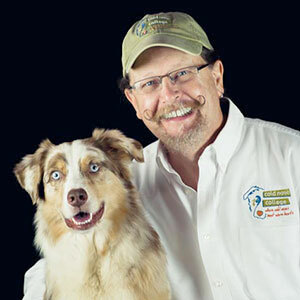 He also works with local schools, helping students learn about positive reinforcement-based training, pet safety, and dog-bite prevention. Kay is a graduate of the Pat Miller Peaceable Paws Level 1 Dog Training Academy and was the top scoring graduate of the Practical Hands-On Exam. In addition to her professional development and credentials, Kay is also a trainer-volunteer working with detainees and their shelter dogs with the “Rescued Program” at the Colwell Probation Detention Center in Blairsville, GA. She continues to seek out and attend educational workshops, seminars and conferences in all things “dog” to better serve her clients and their dogs. Tiffany Lovell is a Certified Professional Dog Trainer, Knowledge Assessed and excels in both dog training skills and customer service skills. Tiffany had the honor of becoming the very first graduate in the country with a specialty of Animal Assisted Interactions. This degree provides her with extensive knowledge in the Animal Therapy field as well as the ability to create Animal Assisted Activities within the community. Tiffany was also the top scoring graduate of the Pat Miller Peaceable Paws Level 1 Intern Academy and Level 2 Behavior Modification Academy. 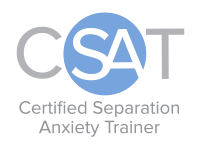 She holds a rare certification in the specialty of Separation Anxiety with a CSAT. 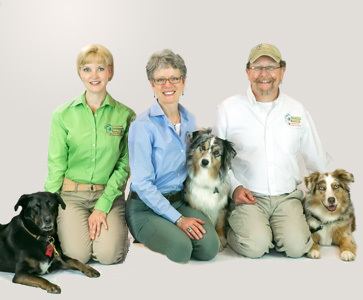 She is also a Professional member of the Association of Professional Dog Trainers (APDT). Prior to becoming a full-time professional dog trainer, Tiffany worked as a veterinarian assistant and veterinarian nurse, during which time she gained a wealth of experience handling dogs of all breeds, sizes, and ages. 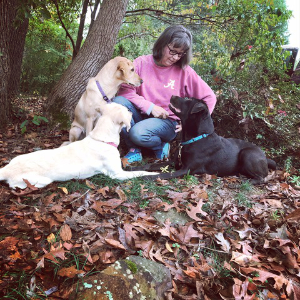 She was recently presented with a Volunteer of the Year award for her dedication to the Rescued Program in Blairsville, GA, which teaches detainees how to properly care for and train shelter dogs using humane, force-free techniques. In addition, she continues to volunteer her time with multiple animal rescue organizations. Tiffany has a passion for knowledge in her field and is regularly continuing her education by attending seminars, workshops, and webinars to learn from leaders in the training and behavior field such as Karen Pryor, Pat Miller, Kathy Sdao, Kay Laurence, Jesus Rosales-Ruiz, and Ken Ramirez. Jim Ross attended the Karen Pryor Academy of Animal Training & Behavior (KPA). 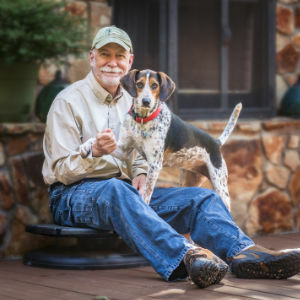 He’s a Professional Member of the Pet Professional Guild and the Association of Professional Dog Trainers.Jim keeps his knowledge and skills finely honed through classes, seminars, and workshops. Jim also volunteers with the Rescued, Saving Detainees and Dogs One Life at a Time Program in Blairsville, GA, a rehabilitation program within the Georgia Department of Corrections which teaches detainees how to properly care for and train shelter dogs using humane, force-free techniques. 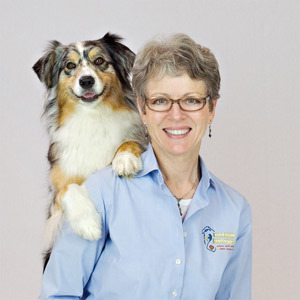 Rachel is committed to scientific, force-free training and is a Certified Professional Dog Trainer – Knowledge Assessed, a graduate of the Karen Pryor Academy of Animal Training and Behavior, and is well-known trainer and mentor in the service dog community. Rachel keeps her knowledge and skills finely honed through classes, seminars and workshops with trainers such as Susan Friedman, Kathy Sdao, Hannah Brannigan, and Denise Fenzi. Rachel has worked extensively with service dog teams, “training dogs and coaching people” to develop communication and work ethic to work as a team. She has conducted workshops and served as key note or facilitator at service dog workshops across the continent.